Dry or low moisture cleaning is a type of carpet cleaning. The other major type is steam cleaning. It is called dry simply because waterless liquids are typically used. There are three common procedures done under low moisture technique. * Dry Foam. A liquid foam crystallizing shampoo is applied to the area and removed by vacuuming. Expensive crystallizing shampoo is used to not leave a sticky residue. This process could be combined with hot water extraction to suspend oil. * Bonnet Cleaning. Similar to dry foam, except that a large cotton bonnet is used to rub dirt out. No rinsing is required here, but it is only ideal for carpet maintenance. * Absorbent Powder. Absorbent powder is spread throughout the carpet, then dried and sucked into a vacuum. This leaves dry particles, though. * User-friendly. Dry cleaning processes are advantageous for a carpet cleaning contractor. It is because furniture could not be removed, cleaning agents are easy to apply and carpet is quickly dried. * Carpet-friendly. To better protect the form and material, dry cleaning is the best method to use since there is no need to soak the floor cover. Frequent soaking can affect the fibers since they can loosen up. * Cost-efficient. Residential carpet cleaning using dry methods are more affordable, compared to hot water extraction. 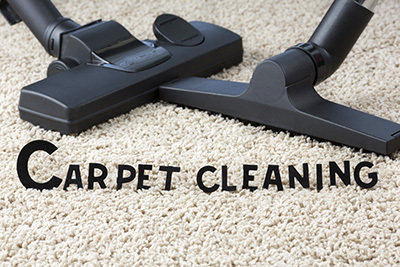 Dry cleaning is also the best way to clean certain carpets and rugs. Specifically, wool rugs and carpets require only this cleaning method. The process allows the items to be back to normal within a few minutes. Hot water may be harmful for wool, and it could also make the color fade. However, it is best to use eco-friendly products only since some cleaners use strong chemicals, which can be harmful to both humans and the environment.